Review of The Rumour by Lesley Kara. This debut novel by Lesley Kara had me hooked from the start. Someone has a secret, but it’s not who you think! There’s a tense undercurrent right from the beginning of the book. As the story unfolds snippets of the secret come to the surface. I found myself second guessing every other character, thinking it was them with the secret. The story starts off slowly, despite the tense undercurrent that was present right at the start of the book. The main character is introduced along with the secondary characters, many of them leaving their mark on the reader as the secret is revealed. The secret is that a child killer is supposedly living alongside the residents of the seaside town of Flintstead. When Joanna, the main character, hears this she sets off on a quest to find out as much as she can about who the person is that harbours this awful secret; who is it that has been given a new identity and allowed to live among them? Joanna becomes obsessed with the rumour that she helps to spread, as well as the story of the child killer who was given a new identity. Everywhere she goes in her daily life she wonders if the people she interacts with are the notorious child killer. The book will have you hooked right from the start. I couldn’t put it down once I started reading it. I thought I knew who the child killer was, then the story took a twist down a different path and I was sure it was another person. I had no idea it was the person who is revealed to be the killer until much later in the book. The book is very cleverly written, the writer interjects the real killer’s thoughts every now and then but you really don’t get a sense of who this person is for quite some time. I thoroughly enjoyed reading this book. The fast paced rhythm of the story kept me invested right until the end. I highly recommend this book. It’s a brilliant debut novel. Review of The Not So Perfect Plan To Save Friendship House: An Uplifting Romantic Comedy. This is a story of friendship. Of mistrust. Of coming together to celebrate friendship and work out differences. Phoebe Stockton is the chef at the all female senior living home, her friend June is the manager, and they love their residents and cherish the friendships that they have with the ladies. But the owner, Max, drops a bombshell on them all; he is bringing his father Terence to the home. Technically speaking Terence owns the house, but his rude behaviour and appaling manner send Phoebe, June, and the female residents into a spin. Then there’s Nick. Nick is “one of the girls” but when Terence comes to live with them he tries to smooth things over, which gets Phoebe’s back up. In her mind Nick can do no wrong, shes had a crush on him ever since he came to work at the home. He’s gorgeous, he’s charming, he’s funny, and he’s a hit with the ladies in the home. Max then delivers another blow, he’s bringing his daughter into the fold. Tamsyn is brought in to replace one of the helpers who left suddenly after Terence pinched her bottom! Tamsyn is not at all interested in doing any work, instead she hangs around Nick, cosying up to him and getting on Phoebe’s nerves. At the very beginning of the story we are introduced to Phoebe as she attends her mother’s funeral. Despite the sadness of the occasion the storyline is heart-warming and inviting. This is a wonderfully uplifting story that immediately draws the reader in. Phoebe is a lovely character and very witty too. I felt for Nick because I had guessed what was really going on with him, but obvioulsy the reader doesn’t find this out until much later in the story. I thoroughly enjoyed reading this book. I loved the characters, apart from Tamsyn, she irritated me but I expect that was the author’s intention. I would definnitely recommend this book. Review of A Year Of New Adventures by Maddy Please. A Year Of New Adventures is a light-hearted read and thoroughly enjoyable. Billie Summers, the main character, runs writing retreats with her best friend. On their latest retreat a grouchy writer called Oliver Forest, who tests Billie’s patience to the limit. He tells her that she hasn’t had much adventure in her life and this hits a raw nerve. Once the retreat is over Billie returns home determined to experience adventure. She starts a writer’s retreat at her home, which proves to be popular. But Oliver seems to be everywhere; he recommended her to her first client and soon he’s offering her a job. She accepts the job, mostly because she has an attraction to him. The job involves a stint in the USA, where she learns more about Oliver. Throughout the book Billie wrestles with her growing attraction to Oliver and this results in them sleeping together. Oliver seems to regret this immediately and Billie is mortified. This book is cleverly written and a good read. The storyline was a little slow in the beginning but soon gathers pace and allows the reader to engage with the characters. Billie is funny and endearing, whereas Oliver is quite infuriating. Overall I think this book is worth a read and would recommend it. 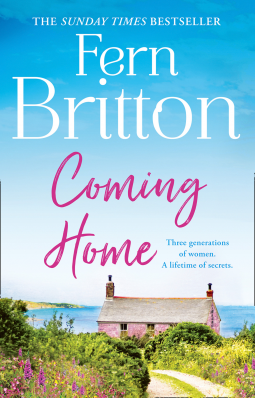 Review of Coming Home by Fern Britton. Coming Home follows the story of three generations of women from the Cornish town of Pendruggan. Ella – who returns to Cornwall following the death of her beloved Grandmother, Adela. Sennen – who ran away from Cornwall twenty years earlier, leaving her mother Adela and her father, Bill, to care for her two young children – Henry and Ella. And Adela – the mother and grandmother who must deal with the emotional fallout that her daughter’s disappearance has on her husband and their grandchildren. As the story unfolded I felt a mixture of emotions, anger towards Sennen for leaving her children behind, sympathy for Adela and Bill, who have to deal with their own emotions that their daughter running away has evoked, all the while caring for the two children Senna left behind. Dislike for the grown-up Henry, how different he is to his sister! Ella is instantly likeable, she is such an easy character to root for. We met Ella in Fern Britton’s earlier novel, The Postcard, where she had just arrived in Pendruggan. Coming Home delves much deeper into Ella’s early life and the reason behind her return to Cornwall. It explores her relationship with Henry, who really comes across as a spoilt brat, and her relationship with Kit goes from strength to strength. In the book, we are introduced to Sennen, the mother of Ella and Henry. We learn about her reasons for running away and discover where she has been for the past twenty years. As much as she angered me with her selfish actions, I did feel for her when she discovers that both of her parents are dead. The book is quite thought-provoking, exploring teenage pregnancy and the gamut of emotions that many young mothers face. It is beautifully written and the characters and story are captivating. It’s very easy to get involved with the storyline and you find yourself rooting for at least one character. With regards to Sennen, I felt that there are many loose ends with her character, which makes me wonder if Fern is planning to write Sennen’s story. Henry wasn’t as developed a character as I had thought he would be, but again, I wonder if we will get to read his story at a later date. I was particularly happy with the happy-ever-after that Ella and Kit got. Ella is such a lovely character and I really had hoped she would get everything that she had wished for. Overall I found Coming Home to be a pleasant read with a strong storyline and believable characters. The book is very well written and grabs your attention right from the off. Review of The Postcard by Fern Britton. Set in the Cornish Village of Pendruggan this story follows the life of Penny Leighton who is struggling to be what she perceives as the perfect wife, mother, and TV producer. Her career has hit a rough patch and she’s feeling the pressure. Penny is a forty-something married mother of one, who is used to a glamorous life as a television producer. Whilst on location in Pendruggan, where the Mr Tibbs Mysteries were filmed Penny met her husband, the local vicar. Penny had been shocked to find herself falling in love and getting married, followed closely by her getting pregnant. We meet Penny when her daughter Jenna is around a year old, and Penny is struggling with motherhood’s demands. She also finds herself plunged into a crisis in her career when the author of the Mr. Tibbs Mysteries refuses to write another volume of the highly acclaimed stories. Penny’s boss, Jack Bradbury, is putting pressure onto her to get Mavis Crewe to agree to produce another book so that the television company can produce another series of the show. It is at this time that Penny receives the news that her mother has died, and despite being estranged from her mum and sister, the news rocks Penny to the core. With all of this going on in her life Penny crumbles under the pressure and the new GP, also Penny’s new neighbour, diagnoses her with Post-Natal Depression. This book was a wonderful escapist read, a book to while away the hours whenever you pick it up. The characters were lovable, mostly, and the pace of the story was just right for the genre. Having never read anything by Fern Britton before I wasn’t expecting to enjoy the book quite as much as I did. Penny’s struggles were relatable, the new neighbours, Kit and Adam, and their two dogs, were a lovely addition to the story, and even Simon the vicar, Penny’s husband, was a likeable character. I particularly loved Queenie who runs the Village shop, although she wasn’t in the book as often as I’d hoped. However, Penny’s sister Suzie, I found an awful,character and didn’t like her at all, although she is crucial to the storyline. She was spoiled, vindictive and manipulative, and I secretly hoped Penny would send her packing. There are a couple of other characters whose narrative we follow in this book, and the author has threaded them together in a clever way. The ending didn’t, for me, tie up as many loose ends as I would have hoped, but this didn’t detract from my enjoyment of the story. The Signature Of All Things. I think the first I need to say about this book is that it is very well written, which is not too surprising given Elizabeth Gilbert is the author. I expected something along the lines of Eat, Pray, Love, but got something entirely different. I suppose I assumed that this author was typecast and I never really thought of her writing anything remotely different to that book. But this book, The Signature Of All Things is so different and I believe different in a very good way. The book follows the life of Alma Whittaker and it is very heavy on botanical terminology. When I first realised this I did wonder if I would see the book through, it is very long and not particularly gripping. I do believe, however, that the author’s creativity draws us in and we cannot help but read on, wanting to know what happens next. I would not go as far as to say this is a riveting read, although it is an enjoyable tale nevertheless. It certainly is no hearts-and-flowers-love-story, which is very much my cup of tea, but it is an enjoyable read that you will want to see through to the end. I don’t think it is big on drama, although there are fascinating tales within this book that I found enjoyable – tales from other characters that Alma encounters. If you enjoy the work of this author then you absolutely have to read this book. If you are looking for something similar to Gilbert’s best-selling novel you certainly won’t find it here in this book. The book is very different form her most popular book and that in itself is a good thing. Review Of House At The End Of Hope Street. This book was awesome. I loved it. The book centres on Alba who we meet right at the very beginning of the book. Alba is in a dark place and is wandering aimlessly around Cambridge one night when she suddenly finds herself outside of number eleven Hope Street. She is very puzzled as she has never encountered the house before, although she is certain she has been this way countless times. There is something about the house that draws her to it, draws her up the garden path and up to the front door where she finds herself knocking on the door. She is let in without hesitation by a woman named Peggy. It soon becomes apparent to Alba that this is no ordinary House. There is something uniquely special about it. Alba, along with the other women who are staying at Hope Street, is nudged in the right direction when it comes to finding out the truth about her life and the choices she needs to make. The book is a delight to read. 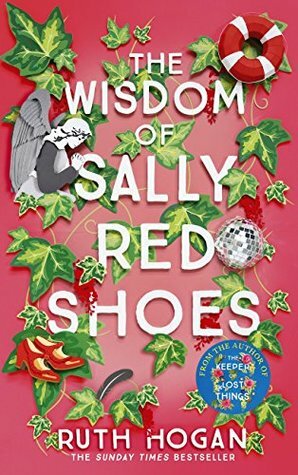 It has a fantastic array of famous characters in it all more than willing to give advice to the women who stay at Hope Street. I found that the book was well written and easy to enjoy. It had all of my favourite ingredients – hope, love, joy and a happy ending. I would highly recommend this book and am happy to give it a five star plus rating.